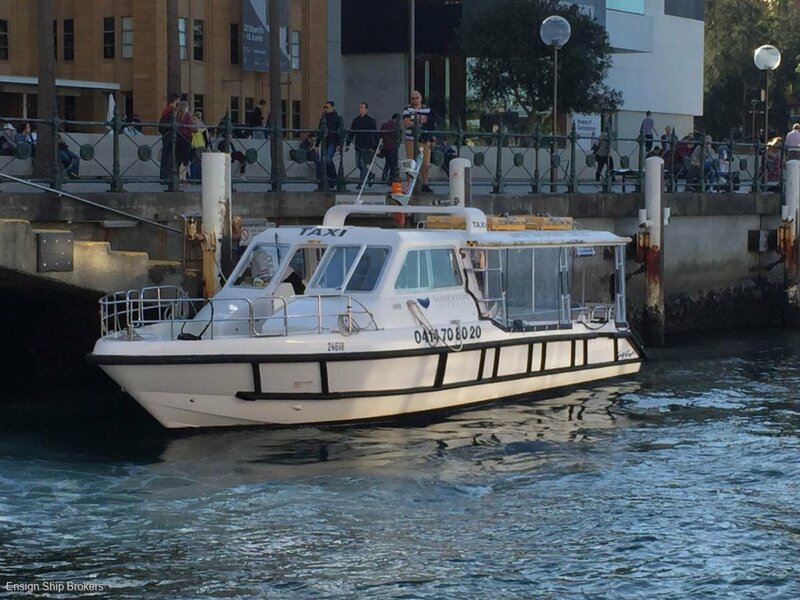 Australian delivered water taxi, ready to work. These purpose built water taxis are highly regarded around the world due to being very manoeuvrable and delivering a soft ride in often busy waterways. Contact Ensign Sydney for more information.